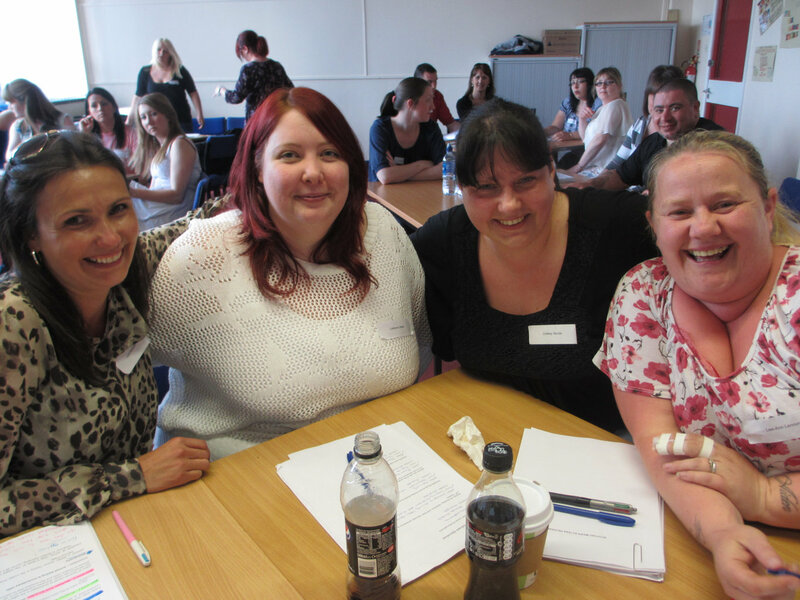 Most of the members of the Kilmarnock College Access to Nursing class of 2012-13 have moved on to study nursing at the University of the West of Scotland, Ayr Campus (UWS). Many will be studying Adult Nursing but some will be specialising in areas such as Mental Health Nursing. We wish them all the best in their future careers. "This programme has enabled me to finally be able to achieve a lifelong ambition of becoming a nurse. I cannot give enough praise to the tutors and college staff for their support and ongoing encouragement during this academic year. The peers in my class have played a vital part in my achievement, as we have all bonded as a group and encourage and help one another." "Excellent stepping stone. A brilliant experience." "I think the SWAP programme is a fantastic opportunity. I thought my return to education would have limited choices, but this course opened everything up. It gives everyone another chance and I have thoroughly enjoyed every minute of it." "I now have a more positive outlook on my future. I believe I can achieve my goals." "I enjoyed having the chance to develop my academic skills before going to university." 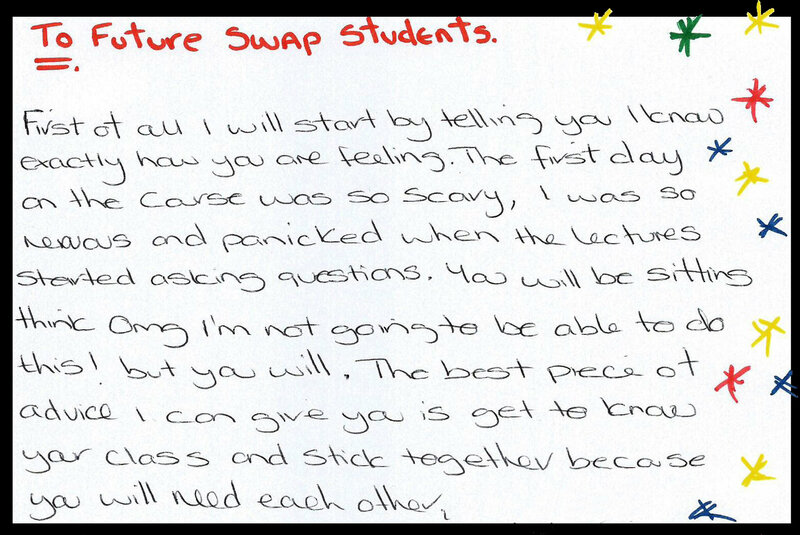 "I have loved every minute of the SWAP programme. It has been a fantastic course and I recommend anyone to do it. It has not only given me the knowledge to go to university, but also the confidence. I have learned over the past year that 'yes I can do it' whereas before I felt I couldn't. The support and encouragement I have received from all my lecturers has been fantastic and especially from my classmates. It has been an amazing journey." "I have become more confident and my self-esteem has grown." "I have definitely changed. I feel so much more confident, assertive and believe in mysef more." "The SWaP programme is brilliant. The subjects are very enjoyable and your classmates will be a great source of support. 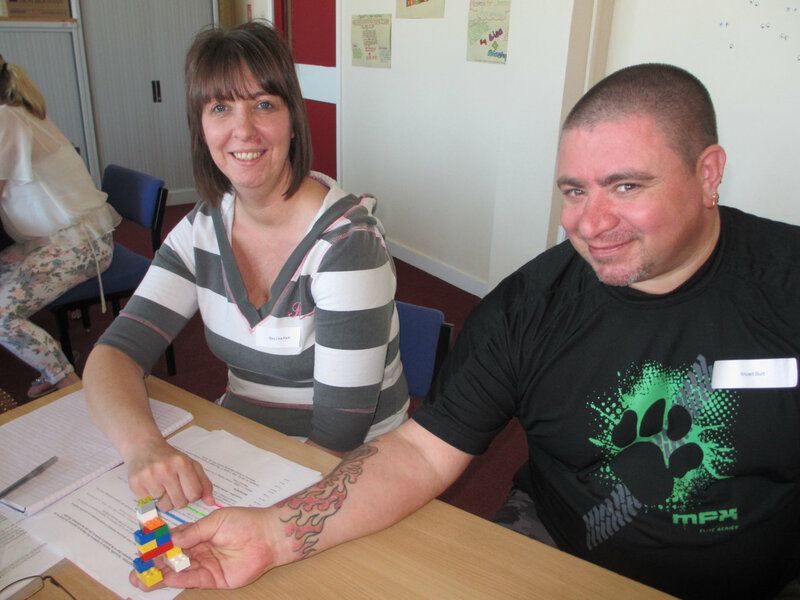 The units of the programme definitely will set you up for university and they will also give you great insight into dealing with people in care."